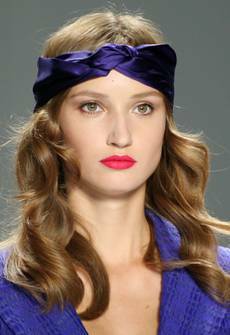 Revlon’s Global Artistic Director, Gucci Westman, did an amazing job a the Luca Luca Spring 2012 Fashion Show. He went for the strong lip look. I wish I was brave. Now you can copy the Luca Luca runway look. I have the formula!! Here’s what beauty products were used during New York Fashion Week.